If you’ve been using Firefox for a while you might like to look at some of these tips and tricks to get more from your web browser. If you’re not using Firefox to find out what all the hoopla is about. Firefox, like most applications, is compiled without optimizations for specific processors. Some third parties such as Moox make processor-specific optimized builds available for download. As well as the Firefox 1.0 release you can also download a trunk build. These are built directly against the source tree the developers use and can sometimes be rather unstable although the 20050206 one I’m using has been pretty good except for a view source bug. Make a backup of your %USERPROFILE%\Application Data\Mozilla\Firefox directory first and unpack the trunk version somewhere new to give it a whirl. If you don’t understand those just instructions you might want to wait for the any-day-now Firefox 1.0.1 release although it contains only essential bug-fixes. We all know sometimes pages take a few seconds to load and knowing how many files to load and the current transfer rate is something geeks love to know. Firefox’s extensions architecture allows third-parties to add such functionality, so grab Extended Statusbar. The network settings in Firefox are a little on the conservative side for broadband users. As with Internet Explorer tweaking you can allow more simultaneous connections (it’s the HTTP connection and pipelining section although the other tuning tips are certainly worth considering). Once done, visiting a page will start loading all images used on a page together rather than just two at a time. It will also mean you can download more than two files simultaneously from the same web site. Advertisements have gone too far, they’re now incredible obtrusive, annoying and can often cause pages to load slowly. Get rid of them with the AdBlock extension. Switching from the keyboard to the mouse to perform a single operation is incredibly slow. Get used to the following short cut keys Ctrl on Windows, Command on Mac OS X. Check out the Microsoft installer (MSI) package and Group Policy integration project. 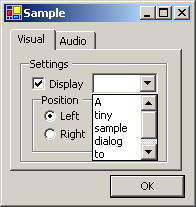 One of the less-touted features of Windows XP is it’s ability to theme the user interface. 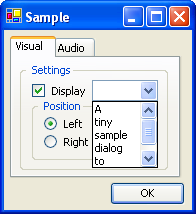 Not to be confused with Windows 98 Plus pack’s themes, this support includes ‘Visual Styles’ which allows the actual appearance of the windows, buttons and various controls to take on a whole new look providing the application has been marked as being compatible with themes using a manifest (most recent applications have). This concept is not a new idea having been seen in everything from Amiga OS (MUI) to Linux (Gnome and KDE) but it’s a good addition. WindowBlinds has been letting users do this for years on everything from Windows 98 to XP/2003 and Kaleidoscope before that on the original Mac OS (Apple also had some lovely themes in MacOS 8 Copland but pulled them before release). Max OS X users get similar functionality with ShapeShifter and some wonderful themes. So how do I get unsigned Visual Styles working? Help is at hand with a number of tools to let you use unsigned themes. Free and simple to use is UXTheme which modifies Windows itself to remove this restriction leaving you to just dump the various theme directories and their contents into C:\WINDOWS\Resources\Themes. 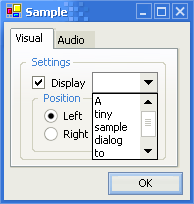 If you’d rather not fiddle with Windows you could also check out TGTSoft’s StyleXP or StarDock‘s WindowBlinds which come with their own user interface. 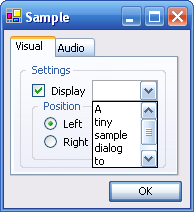 WindowBlind’s can also theme many applications and areas that Microsoft’s built-in support can not handle. Where do I get more VisualStyles? There are a number of sites providing Visual Styles but my favorites are ThemeXP.Org and Neowin.Net the latter hosting my favorite theme, Watercolor 4.3. The look is based on beta releases of Windows XP (code-named Whistler). Why Microsoft decided not to ship it in the box I can’t understand, it’s elegant and good on the eyes… It’s my theme on all my non-server Windows boxes.